Currently there are no standardized methods for the analysis of indoor samples for microbial contamination. Neither are there guidelines for the limit of what is to be reported by laboratories and how to present the results. Without guidelines reports from different laboratories are difficult to compare. The quality of laboratory reports is also sometimes compromised. Despite lack of standards and guidelines, the quality of laboratory reports could be improved with better communication between the IAQ professionals and the microbiologists. While the microbiologists may be conversant with the biology, ecology and physiology of the organisms they deal with, it is possible that they may have very little knowledge or idea of what data would be most relevant to investigations on indoor microbial contamination. Unlike with clinical samples where presence of certain organisms is enough to make decisions on the treatment to administer, with IAQ samples the types of organisms present, their quantities and the visual inspection data of the contaminated place are used to decide whether remediation is necessary and the level of containment required. The microbiologist understands the laboratory data well and the methods they have applied while the IAQ professional has the field data such as the size of the area colonized, history of the building, occupants health information and other useful data which should be used together in decision making. A two-way communication between the microbiologist and the IAQ professional is therefore critical. This article is an attempt to provide the kind of information the IAQ professionals and microbiologists should exchange to improve the quality and usefulness of laboratory results. Discuss with the laboratory the objectives of the investigation: If the laboratory understands the objectives of the investigation, they may help in deciding the most suitable types of samples to collect for the intended investigation. The laboratory would also know what to report and how to report it. (click this link for information on how to collect and send samples). Provide adequate amount, size and/or number of samples for analysis: The size or amount of sample should be adequate to allow the microbiologist to perform the test and retain some of the material for reference or for retesting in case something goes wrong during the first test or if detailed tests were required after the initial basic test. Where resources allow, the minimum number of samples that can allow statistical analysis of the resulting data should be provided. Provide clear instructions on the tests required: If the IAQ consultant has not discussed the objectives of the investigations with the laboratory, they should clearly indicate the tests they require the laboratory to perform and how they desire the results reported or presented. This is particularly important with some types of samples that can be analysed in more than one way (see sample analysis flow chart below). For example a swab or a dust sample can be analysed by direct microscopic examination (DME), culturing by direct plating or culturing for quantification (serial dilution). The results for quantification could also be expressed as colony forming units (CFU) per unit area (or per unit weight in case of dust). Each of these analytical methods has its own limitations and gives different data. Similarly a bulk sample such as a drywall could also be analysed by culturing or DME. 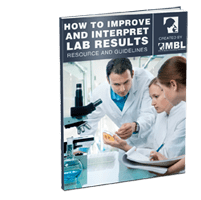 If the laboratory is not directed on what analysis to perform, they may use methods which may not give the results that were expected by the consultant or that may not adequately answer the question being investigated. For instance if the consultant was interested in species present on a bulk sample, DME analysis may not provide this information. The flow chart below shows how various samples could be analysed. How laboratories could improve the quality of their reports. Give adequate information in the reports: Inadequate information may lead to inappropriate decisions being taken. So, reports generated by the laboratory should include adequate, useful, organized, informative and easy-to-understand information. Provide helpful comments in the reports: Reporting without comments may also lead to inappropriate action. Consider this case: a consultant takes pre-remediation (background) air samples to a laboratory. The samples are highly overloaded with dust particulates and therefore become difficult to analyze. The resulting counts are therefore very low. After remediation, samples are taken again to assess the effectiveness of remediation. This time the samples are not overloaded with dust and counts are significantly higher than the pre-mediation results. If the lab had commented on the first report that the samples were overloaded with dust and that this may result to low counts, the consultant would have decided on whether to take another set of samples or not. Provide information on medical significance of reported moulds: Most laboratories avoid commenting on the medical significance of the moulds or bacteria they identify claiming that they were not qualified to make such comments. While this is true, one of the most important functions that a laboratory should perform is to decide what organisms are of health concern and what constitutes normal flora since this information is already documented in reputable journals or textbooks. By providing this information the laboratory is not in anyway taking the role of medical professionals. If such information is not available the laboratory should indicate so in the reports. Provide a list of references: The laboratories should provide a list of references where the consultant can obtain more information concerning the identified moulds and bacteria and their health significance. Communication between the IAQ professionals and the laboratories is the key to quality reports. Lee A, McLean S. The laboratory report: a problem in communication between clinician and microbiologist? Med J Aust 1977;2:858-860.